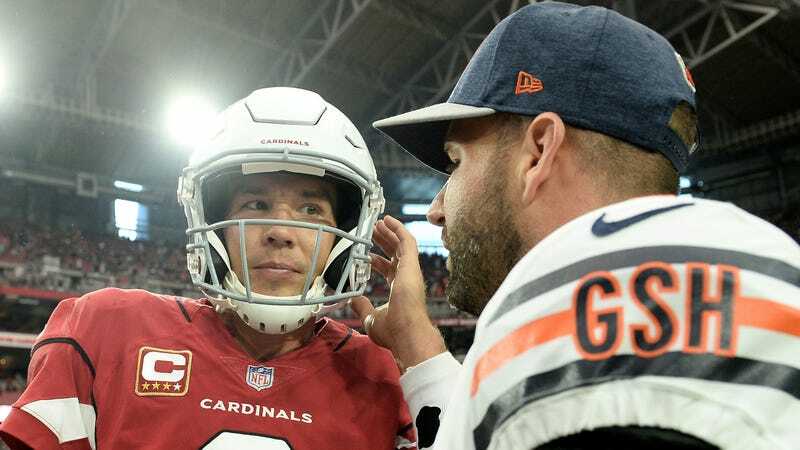 The Arizona Cardinals became the latest team to realize Sam Bradford had no purpose being on their roster and cut the nine-year veteran on Saturday, according to ESPN’s Adam Schefter. The Cardinals signed Bradford in March to a one-year, $20 million contract with $15 million guaranteed. The move seemed less than ideal at the time, and looked even worse after Arizona drafted Josh Rosen with their first-round pick. Bradford started three games for Arizona before getting benched in the fourth quarter of a Sept. 23 loss to the Bears. 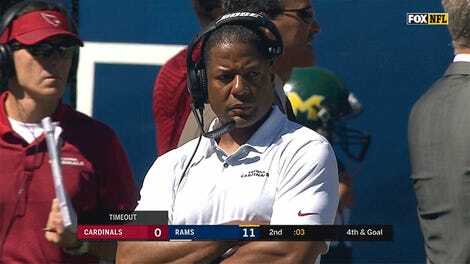 He threw for 400 yards, two touchdowns and four interceptions before Josh Rosen replaced him as a starter in Week 4. Since then, he has remained inactive on the sideline in sweats and a clipboard, forcing him to miss out on $1,562,500 in incentives. The former Heisman Trophy winner will now go to waivers, where another team can pick up his contract worth $2.5 million in base salary, $2.5 million in roster bonuses and a $20 million salary for 2019, according to Schefter. He’s earned over $130 million since entering the NFL in 2010, per Spotrac, and has never won more than seven games in a season. How he keeps getting employed is beyond me, but I honestly respect the hustle. Even if it is an embarrassing look for Arizona to cut a quarterback in the same calendar year that they signed him for seven figures, there is a bright side. The release means the Cardinals will get some extra draft capital in April.